As you learn more and more about gardening you are also going to be learning more and more about all of the gardening tools out there that are designed to help you create a better garden as well as save you lots of time. Of course, you don’t need to purchase every tool that is on the market. Don’t buy too much too soon, start small and with tools you know that you will actually use-you can buy the rest later. Your body contains more than enough strength to carry out all of your gardening tasks. You can use your own two hands to move dirt and plants and earth around. Of course, at the same time, you can use tools to help save time and to protect your body from too much wear and tear. Here are a few gardening tools that you might find useful. Every gardener needs a good and sturdy pair of gardening gloves. Gardening gloves help keep your hands healthy as you work with the various parts of your garden. You might enjoy the feeling of digging in the dirt with non-gloved hands but gloves will help keep your hands safe and clean while you work. A good example of this is the way your gloves prevent you from being scratched or stuck by thorns when you work with rosebushes. Gloves also provide protection for your hands when you work with substances that will leave residue behind like fertilizer and compost. There are a lot of bugs and other creatures that are going to take up residence in your garden; your gloves keep you from having to touch them directly. If your garden is large or if you plan on moving a lot of different things at once, you might want to invest in a garden cart. Garden carts can be used to help transport tools to your garden and plants from your garden. You can also use them to help you transport compost from your compost heap to your garden. Garden carts can also be used to move large quantities of dirt away from your garden. Most often, a garden cart is used to transport things in a quick and easy fashion. In a pinch a wheelbarrow can do this as well. You need to have a hand trowel. Many inexperienced gardeners move dirt around with their hands. Getting used to using a hand trowel will happen over time, usually as you get used to the act of gardening. A hand trowel keeps your actual hands protected. 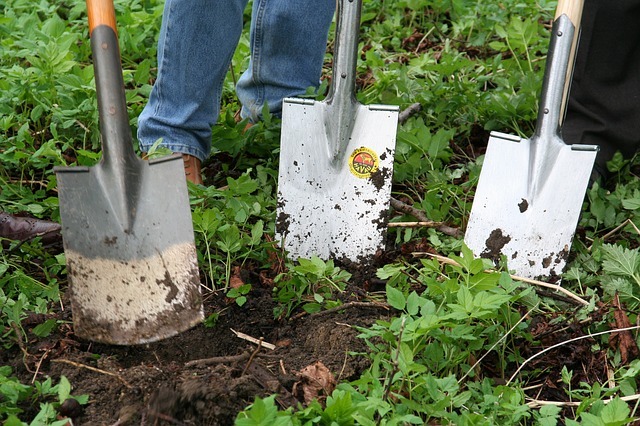 Most gardeners use their trowels to speed up the weeding they have to do as well as to shift the earth that surrounds their plants without disturbing the plants themselves. 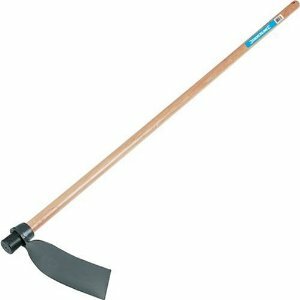 You can use hand trowels on just about every plant in a garden because trowels come in many different sizes. Learning which gardening tools are essential takes a little bit of time. When you are a beginner you will be tempted to buy everything available. Instead of dropping a few paychecks on gardening supplies you might not need start with a few basics and then add to your collection as you need to. This will save you money, time and storage space in your gardening shed. Before you realize what has happened you’ll be able to look at your gardening tools and instinctively know which tools you need to complete your tasks.